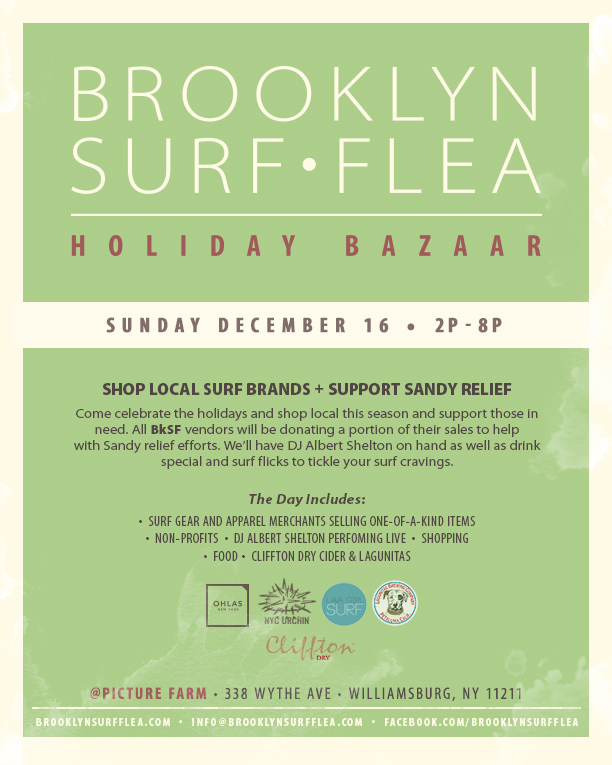 Join us this Sunday, Dec.16th at the Brooklyn Surf Flea Holiday Bazaar which will be held at Picture Farms – 338 Wythe Avenue in Williamsburg, Brooklyn. We will have several of our top sellers from our line available for purchase. And the best part, besides getting your holiday shopping out of the way, is that you will also be helping superstorm Sandy survivors since we will donate 10% of our proceeds to Sandy relief. See you can shop without feeling guilty.